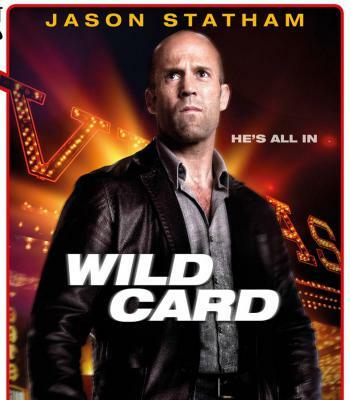 I originally saw Jason Statham in Death Race, but since then, most of the time, he’s the villain in what I see him in. I was intrigued to see him playing the central character in a film. I was a bit surprised by how much violence there was in this movie. I don’t mind strong violence (though I have an aversion to torture), but there was considerably more than I was expecting. I found Nick’s character to be quite an intriguing one. I felt that he came across as quite a well-rounded person. I was fascinated by his past and I would have liked to know more about him and how he knew the other people he clearly had connections with. There were some parts of this film that I found confusing – I was a bit lost when Nick was playing Blackjack, for instance. I found some of the motivations of the other characters a bit harder to follow… and I think there were only a couple of characters I really liked in this. I did recognise a couple of the other actors and there were parts of this film that were intense and drew me in as I was watching. In a way, I was disappointed in the ending, since it was left very open-ended… I would have liked to see how things went for Nick later on. I did think there was a lot of action in this and a lot that was going on. I feel it’s a film a sequel could be made of. Although I don’t intend to watch this movie again, I would probably watch a sequel.